Mount Laguna Improvement Association has come a long way from being a water provider to being a vital Mt. Laguna community organization in the 76 years it has been in existence. Originally formed in 1936, the primary goal of the MLIA was to create a water delivery system for all cabins. Wells were dug and lines were laid to each cabin. Since then maintaining a safe and reliable water system has been a major priority for the MLIA. As water availability and quality becomes an ever-growing concern in Southern California, the Association is committed to providing high quality water to our cabins for years in the future. Over the years, the MLIA has expanded the range of service it provides to cabin owners and the Laguna Mountain community. The Association is a positive force building good working relationships between cabin owners and the Forest Service. The MLIA educates cabin owners on Forest Service policies to help owners maintain their cabin compliance. The Association is also an active participant in ensuring cabin owners get the best appraisal value possible as part of the fee setting process which occurs every ten years. The Association continues to work on projects that add to the safety and enjoyment of owning a cabin in the Laguna Mountains. In recent years the MLIA has put resources into improving access driveways damaged by weathering and use. 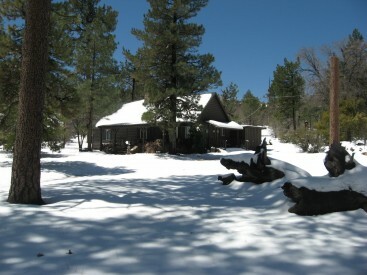 There are 168 cabins leased from the US Forest Service in the Mt Laguna portion of the Cleveland National Forest. The cabins are grouped in seven tracts, Laguna, El Centro, Piedra, Boiling Springs, Burnt Rancheria, and Escondido. Each cabin owner automatically becomes a member of the Improvement Association at the time of cabin purchase. 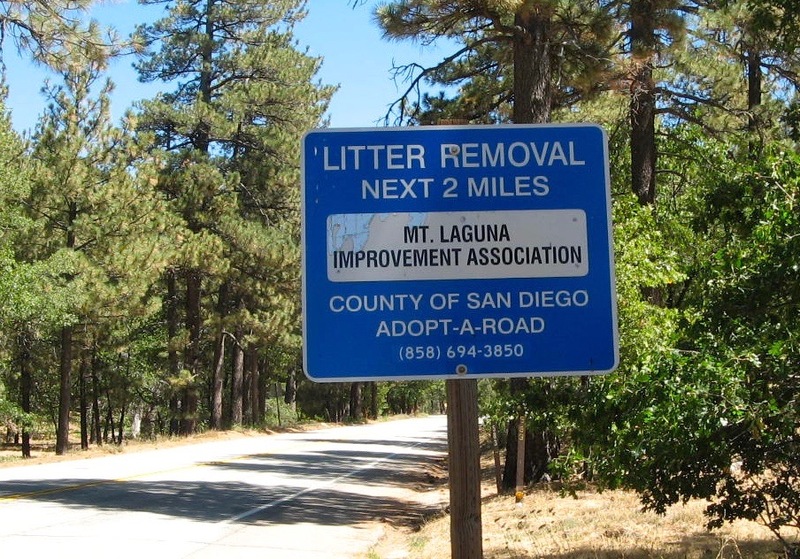 The Mount Laguna Improvement Association is incorporated as a 501(c)12 not-for-profit organization. The MLIA sponsors several Laguna Mountain community events each year to get locals together for good food and a good time meeting our neighbors. Recent events include the Chili Fest, the Picnic, Progressive Dinner, the Wine-A-Bit, and the Octoberfest. Click Social Events for upcoming gatherings. Fire safety is an ever-present concern on the mountain. The award-winning Fire Safe Council was started by the MLIA. The Mt Laguna Fire Safe Council stands on its own now as a separate Laguna Mountain organization. The Council works constantly to bring together all the communities and organizations on the mountain to disseminate fire safety information, techniques, upcoming events, and training. Meetings are held monthly on the third Saturday at the Red-Tailed Roost on Sunrise Highway across from the Volunteer Fire Department. Meetings start at 10:00 am. The MLIA participates in the County of San Diego Adopt-A-Road program. The Association has “adopted” the portion of Sunrise Highway between mile markers 23.5 and 26.0. Cabin owners serve the Laguna Mountain community three to four times a year by walking Sunrise Highway and picking up trash left on the roadside. Keeping the road clean is another way the MLIA helps the mountain stay beautiful and welcoming.